Identification: Upperside of male is dark brown with some blue iridescence; median band is white on hindwing and mostly orange on forewing. 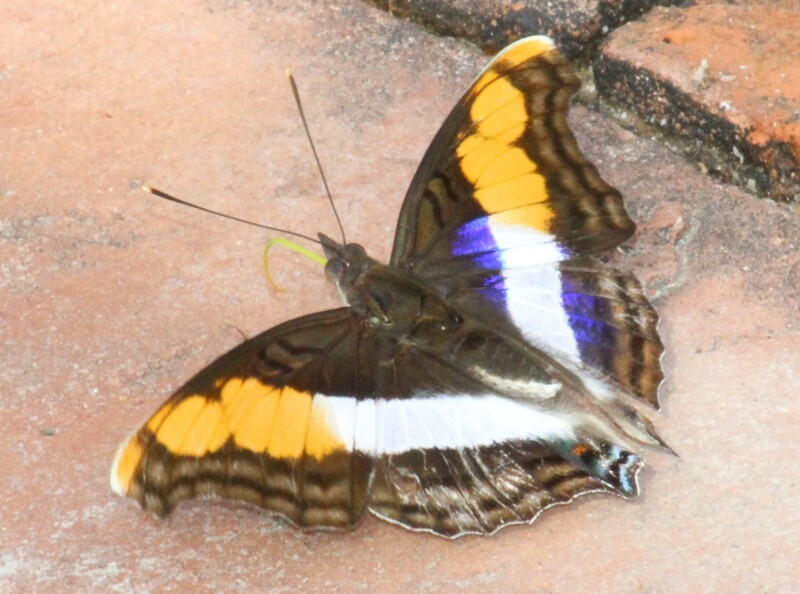 Female upperside is dark brown without iridescence; median band is white on both wings and ends with a yellow spot at the leading edge of the forewing. 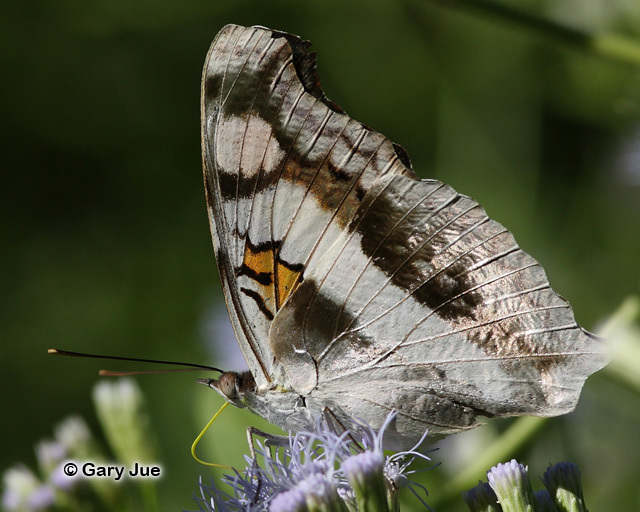 Underside of hindwing of both sexes is grayish with a silvery iridescence. Life History: Eggs are laid singly on new growth of the host plant. Caterpillars make resting perches on top of leaves. Flight: July-December in South Texas; all year in the tropics. Caterpillar Hosts: Tree and shrub Celtis in the elm family (Ulmaceae). Adult Food: Rotting fruit, dung, sap, carrion. Habitat: Subtropical wooded areas and edges. Range: In lowland tropics from Brazil north to northern Mexico. Strays occasionally to the lower Rio Grande Valley of Texas.